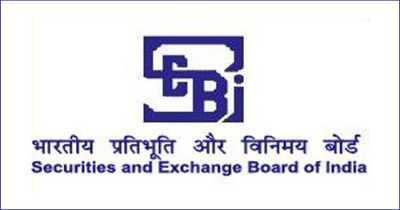 The Securities and Exchange Board of India (“SEBI”) vide its circular no. SEBI/HO/IMD/FPIC/CIR/P/2018/66 dated April 10, 2018 clarified on clubbing of investment limits of foreign Government/ foreign Government related entities. a. What is the investment limit for foreign Government/ foreign Government related entities registered as Foreign Portfolio Investors (FPI)? Reply: The purchase of equity shares of each company by a single FPI or an investor group shall be below ten percent of the total paid up capital of the company. [Ref. Regulation 21(7) of FPI Regulations]. b. What is an investor group? Reply: In case, same set of beneficial owners are constituents of two or more FPIs and such investor(s) have a common beneficial ownership of more than 50% in those FPIs, all such FPIs will be treated as forming part of an investor group and the investment limits of all such entities shall be clubbed at the investment limit as applicable to a single foreign portfolio investor. [Ref. Regulation 23(3) of FPI Regulations and FAQ 58]. c. How to ascertain whether an FPI is forming part of any investor group? Reply: The designated depository participant engaged by an applicant seeking registration as FPI shall ascertain at the time of granting registration and whenever applicable, whether the applicant forms part of any investor group. [Ref. Regulation 32(2)(a) of FPI Regulations]. Further, at para 2.2 in the Form A of first schedule, the applicant seeking registration as FPI is required to furnish information regarding foreign investor group. Accordingly, it is the prime responsibility and obligation of the FPI to disclose the information with regard to investor group. d. How is the beneficial ownership of foreign Government entities/ its related entities determined for the purpose of clubbing of investment limit? Reply: The beneficial owner (BO) of foreign Government entities/ its related entities shall be determined in accordance with Rule 9 of Prevention of Money Laundering (Maintenance of Records) Rules, 2005 (hereinafter referred to as PMLA Rules).The said PMLA Rules provide for identification of BO on the basis of two methodologies namely (a) controlling ownership interest (also termed as ownership or entitlement) and (b) control in respect of entities having company or trust structure. In respect of partnership firms and unincorporated associations, ownership or entitlement is basis for identification of BO. e. Whether two or more foreign Government related entities from the same jurisdiction will individually be permitted to acquire equity shares in an Indian company up to the prescribed limit of 10%? Reply: In case the same set of beneficial owner(s) invest through multiple entities, such entities shall be treated as part of same investor group and the investment limits of all such entities shall be clubbed as applicable to a single FPI. [Ref. Regulation 23(3) of FPI Regulations]. Accordingly, the combined holding of all foreign Government/ its related entities from the same jurisdiction shall be below ten percent of the total paid up capital of the company. However, in cases where Government of India enters into agreements or treaties with other sovereign Governments and where such agreements or treaties specifically recognize certain entities to be distinct and separate, SEBI may, during the validity of such agreements or treaties, recognize them as such, subject to conditions as may be specified by it. [Ref. Regulation 21(9) of FPI Regulations]. f. How will the investment by a Foreign Government Agency be treated? Reply: Foreign Government Agency is an arm/ department/ body corporate of Government or is set up by a statute or is majority (i.e. 50% or more) owned by the Government of a foreign country and has been included under “Category I Foreign portfolio investors”. [Ref. Regulation 5(a) of FPI Regulations]. The investment by foreign Government agencies shall be clubbed with the investment by the foreign Government/ its related entities for the purpose of calculation of 10% limit for FPI investments in a single company, if they form part of an investor group. g. Whether any investment by World bank group entity viz. IBRD, IDA, MIGA and IFC should be clubbed with the investment from a foreign Government having ownership in such World bank group entity? Reply: Government of India, vide letter No. 10/06/2010-ECB dated January 06, 2016 has exempted World Bank Group viz. IBRD, IDA, MIGA and IFC from clubbing of the investment limits for the purpose of application of 10% limit for FPI investments in a single company. h. Where Provinces/States of some countries with federal structure have set up their separate investment funds with distinct beneficial ownership constituted with objectives suitable for their respective provinces, such funds not only have separate source of financing but also have no management, administrative or statutory commonality. Kindly inform whether investments by these foreign Government entities shall be clubbed? Reply: The investment by foreign Government/ its related entities from provinces/ states of countries with federal structure shall not be clubbed if the said foreign entities have different BO identified in accordance with PMLA Rules. i. How will the foreign Government/ its related entities know the available limit for investment, to avoid breach of the limit? Reply: The custodian of securities reports the holdings of FPIs/ investor groups to depositories who monitor the investment limits. As such, NSDL is in ready possession of aggregate holdings of FPIs/ investor groups in any particular scrip. [Ref. Regulation 26(2)(d) of FPI Regulations]. To this effect, SEBI, vide communication dated November 02, 2017 has already advised DDPs/ custodians of securities to approach NSDL to get information regarding aggregate percentage holdings of the group entities on whose behalf they are acting in any particular company before making investment decisions. SEBI has no objection to the said arrangement for sharing of data. j. What if the investment by foreign Government/ its related entities cause breach of the permissible limit? Awesome, Thanks for contributing your important time to post such an interesting & useful collection of knowledgeable resources that are always of great need to everyone. I visit this blog first time and encourage by this good stuff work. Unbelievable post keeps up posting such great information. There are things here that I didn't think some time as of late. panseva am very enjoyed for this weblog. It’s an informative subject matter.